18/8/2017 Members of Forest Watch Ghana (FWG) have received training on advocacy and policy influencing. The two-day capacity building exercise, which was organised by Forest Watch Ghana with support from Tropenbos Ghana, aimed at strengthening the capacities of FWG members and other identified NGOs (including Nature & Development Foundation, and A Rocha Ghana) to carry out enhanced advocacy and lobbying work in the forestry sector. Currently Ghana’s forestry sector is bedevilled with a lot of challenges including illegal logging, mining in forest reserves, weak law enforcement, and poor governance. While Forest Watch Ghana and other civil society organisations working in the forestry sector have intervened diversely in these issues, there still remain a lot to be done to bring about the desired change. 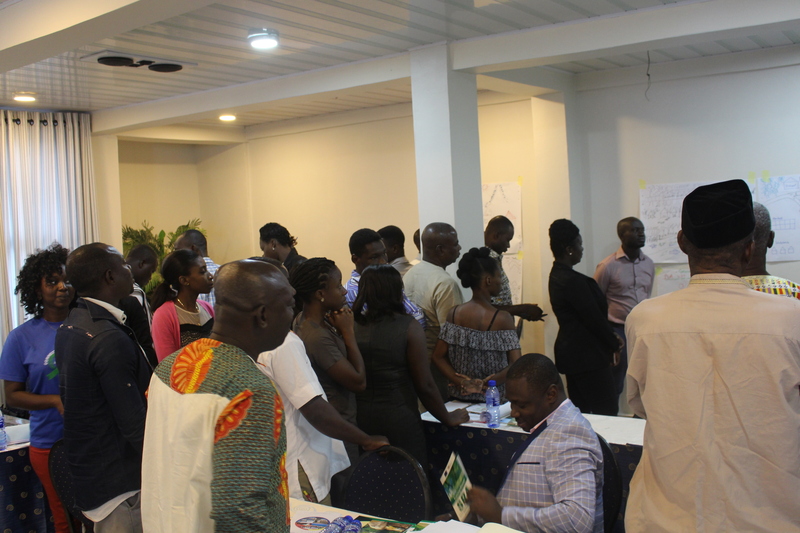 It is for this reason, among others, that Forest Watch Ghana with support from Tropenbos Ghana, brought in a team of experts from Management for Development Foundation (MDF) to run FWG members through a course on advocacy and policy influencing. 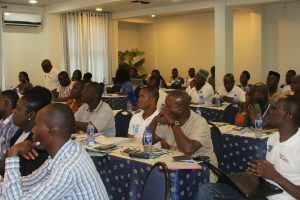 The Co-ordinator for FWG, Mr. Samuel Mawutor, noted that the training provided members the opportunity to improve upon their advocacy & lobbying skills to help them engage better with policy and law makers, as well as skilfully employ different tactics in the political environment of forestry. “This capacity building exercise served as a great opportunity for members of the Coalition to reflect on what we do and what we could do better to realise the social justice and governance goals we work towards,” he said. Some FWG members who could not hide their excitement after the training noted that they had learnt a lot from the capacity building exercise. “This training is really helpful. It has drawn my attention to the need to do stakeholder analysis,” Raymond Ennin, a member of FWG, said. “Once you do the scoring well, you cannot miss who your targets, allies and opponents should be,” he added. According to them, what they learnt will come in handy in the course of their work. The capacity building exercise took place during the Coalition’s 2nd General Meeting, for the year 2017, held in Larteh in the Eastern Region. In all, 41 people, made up of 30 males and 11 females were trained. 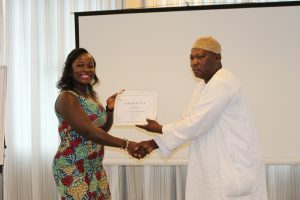 Certificates were awarded to participants after the training. Forest Watch Ghana (FWG) is the national campaign vehicle of over forty (40) Civil Society Organisations and individuals committed to the rights of poor forest users. FWG works towards sustainable and just forest development and biodiversity conservation. Previous PostStop illegal mining in forest reserves!